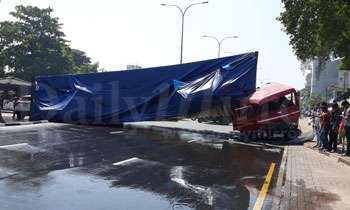 Traffic congestion along the Baseline Road was reported due to a container that had toppled across the road near Wesley College, Colombo 09, the Police said. 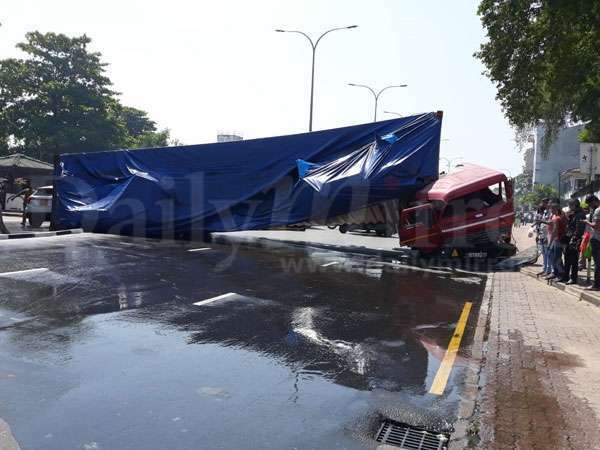 They said vehicular traffic had come to a standstill due to the incident. High speed and then breaking causing swerving of the rear. Why cant the police take stern action against these careless drivers.